Why not come down to the Horse & Bamboo Theatre Company in Waterfoot, this weekend? Why, ah yes, because there is going to be a fantastic Christmas Art Market and I hear, by all accounts, this is a fun and popular venue. I also hear there will be mulled wine on tap and mince pies, yum yum (oohhh I’m so getting into the Christmas spirit!!). What’s not to love! Get on down!! 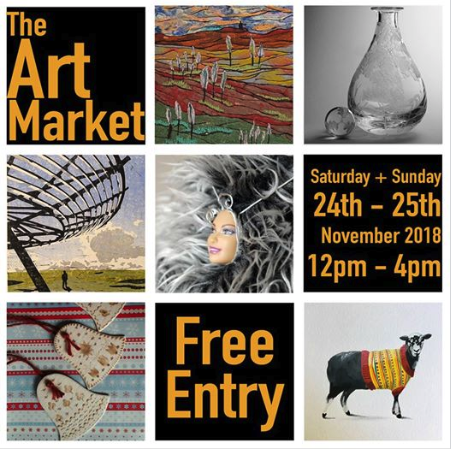 I shall be there, selling my work alongside loads of other art and craftists, so come and say hello! I look forward to mooching around and seeing what’s on sale. Got several presents to buy and if something catches the eye, I shall be buying it! Anyway, the times and dates are above. Hopefully see you there!